Created in France, this vintage Picasso art carpet showcases a stunning textile adaptation of ‘The Red Armchair,’ which captures the artist’s signature style fully. 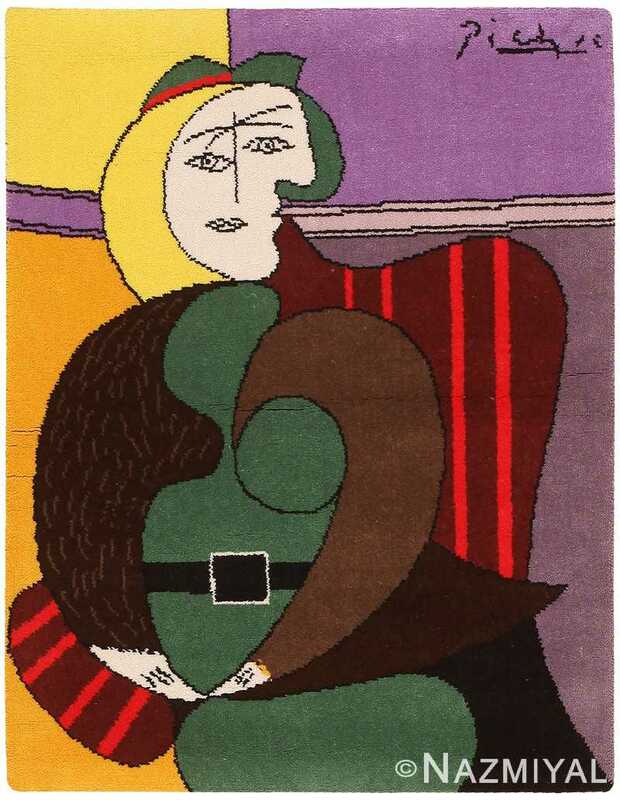 Vintage Picasso Tapestry Rug Inspired by Pablo Picasso, Origin: Scandinavian Rug, Circa: Mid-Century – Modeled after ‘The Red Armchair,’ this quintessential vintage Pablo Picasso tapestry rug features saturated colors, multi-dimensional cubist figures and all of the hallmarks that make Picasso’s work so iconic. Recognized as the first in a series of paintings featuring his mistress Marie-Therese Walter, this expressive work is one of the earliest to combine both profile and frontal views of one model. The highly geometric composition is exaggerated by jet black outlines and graphic linear accents. High-chroma hues and high-contrast color pairings give the fantastical abstract composition an expressive, richly detailed style. 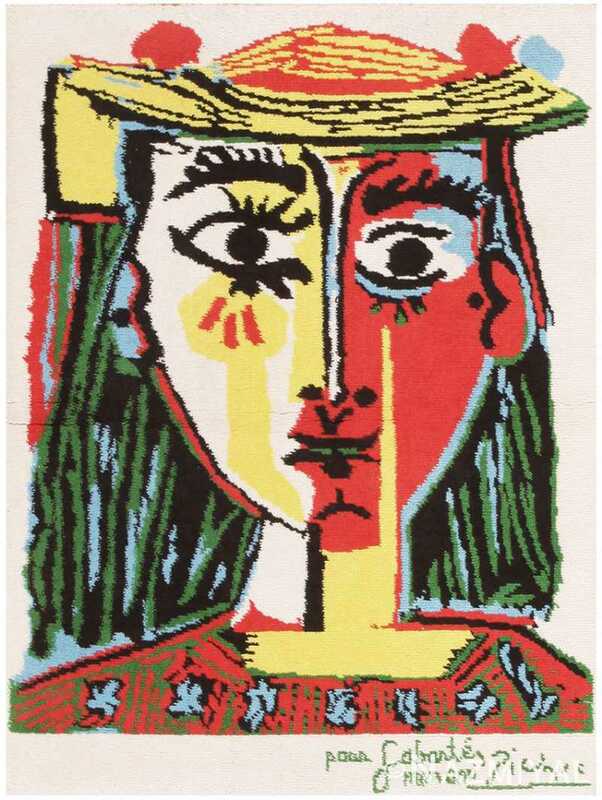 Picasso’s unique dimensionality extends through the colorful background, which adds to the distinctive style of the composition. 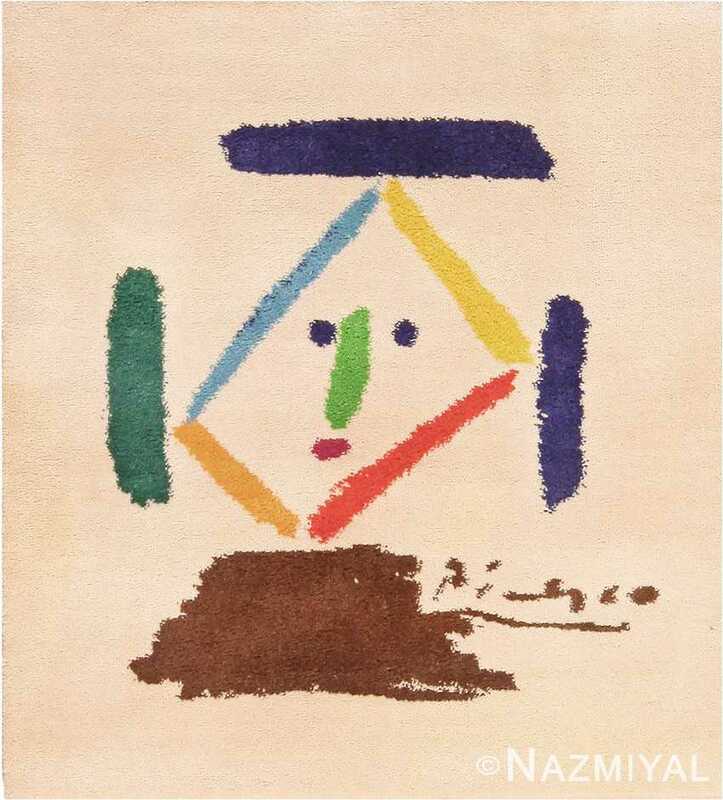 The rich monochromatic colors and innovative perspective illustrate Picasso’s progressive personality and creativity, which affected his bold color choices and helped shape his original style.